The Mayan Mam village of Agel hangs precariously over the edge of the pit. Crisanta Pérez’s house on the edge of the settlement clings to a steep slope that runs down to a long, turquoise tailings pond. 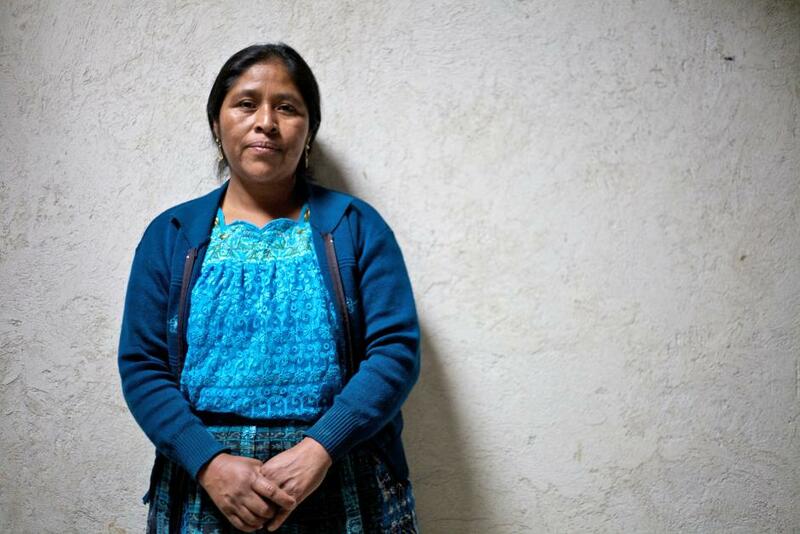 Pérez and her fellow community leaders say that the Marlin mine has contaminated the water sources that they use to wash and irrigate their crops and that the subterranean explosions have caused houses to collapse – charges that the mine’s owners, the Canadian firm Goldcorp, deny. Newsweek was shown evidence of skin conditions and severe neurological diseases that local health workers believe are the result of heavy metal poisoning, but, without independent medical assessment, their claims are hard to verify. For the majority, the economic opportunities that the mine promised never materialised. Many, like the men manning the roadblock, sold their land and bought trucks, hoping to haul for the mine – their vehicles, daubed with religious icons, sit idle by the road. The Mayans’ anger goes deeper than individual grievances, however. The Mam, one of several Mayan nations in Guatemala, make up the majority in San Marcos. They number around 650,000 in the western highlands. On the other side of the mine, another nation, the Sipakapa, are also actively resisting the development. Both groups say that they were never consulted before work began on the pit, that their land was simply taken by a central government that does not represent them. This, they say, marks the continuation of centuries of marginalisation and discrimination – what rights they have won have proved secondary to the demands of commerce.